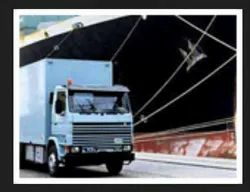 The Adithya lines is aiming through safe and dependable transport to contribute a comprehensive logistics solution by ocean, land and air transport services. To cater more to the customer need, the lines operate it own soc boxes to various destination and inland depots where our customer expect the best. Being the leading names of the industry, we are involved in providing an extensive range of HT Overhead Lines services to our honored customers. We are a well-reputed organization, engaged in rendering a wide set of High Tension (H.T) Overhead Line Upto 33 KV Services to the clients. The solutions rendered by us are extensively applicable in the automatic power factor correction and fixed power factor correction applications. We are looking for queries from Nagpur, Maharashtra. With thorough understanding of this business industry, we are engrossed in providing LT Overhead Lines Installation Service to our clients. Due to our personnel’s knowledge, we are able to meet the detailed needs of the clients within the given period of time. We have adroit employees, who offer these services in agreement with the defined guidelines. 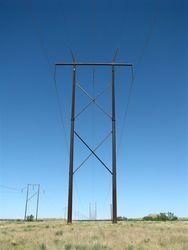 A Overhead Lines are the system that connects two junctions of the grid. It is formed by the power conductors that transfer electricity, by guard wires that protect the conductors against voltage surges having atmospheric origins and by the pylons supporting conductors and guard wires. Lines can be single or double circuit if they are built with one or two groups of conductors, respectively. We are the best provider of Overhead Lines Service which is widely admired by the customers. These can easily improve power factors and measure electrical consumptions. Our services are reliable, sustainable and are available at reasonable prices. We provide all our services within the give time period.